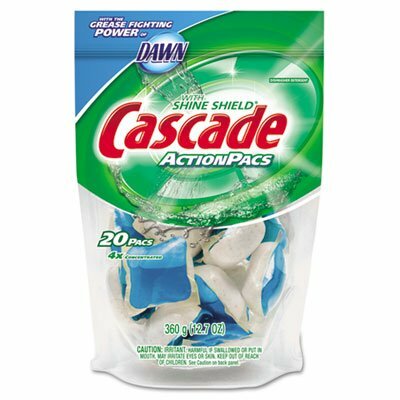 Cascade powder and Dawn liquid dishwashing soaps are combined into one convenient pac. Scrub dishes clean while cutting grease. Easy to load without a mess. Application: Automatic Dishwashers; Applicable Material: Ceramic;Glass;Plastic;Stainless Steel. Combines Cascade powder and Dawn liquid dishwashing soaps combined into one pac.